Washington Spirit vs. Boston: Ties, ties, ties! – The Boston Breakers are unbeaten. – The Washington Spirit is winless. – The Breakers and Spirit have played twice. – Both games have been ties. The games have followed different paths. On the narrow carpet of the Breakers’ home ground, in both teams’ debut, the Breakers controlled midfield but didn’t have many attack options beyond hoofing the ball toward Sydney Leroux. That’s not a knock on the Breakers — if you’ve had little time together, that’s not a bad option. 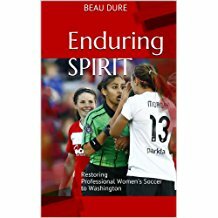 The Spirit got an early goal against the run of play and held on until stoppage time, when Leroux finally got the equalizer. This time, the Breakers had a strong start, forcing Spirit keeper Ashlyn Harris into action twice in the early going. But the Spirit midfield showed how much it’s grown since Game 1, gradually asserting control of the game. Naturally, they conceded a goal. And it came about through two former D.C. United Women’s players, Joanna Lohman and Lianne Sanderson, who spent some time socializing with their former teammates on the Washington Spirit Reserves when their bus arrived at the SoccerPlex. Sanderson drew two defenders and found Lohman open. Solid finish, 1-0. So the Spirit had nothing to show for one of its strongest halves of the season. And it got worse. Candace Chapman, playing her first game of the season, wasn’t fully fit to go 90 minutes. Subbing her out of the game after 45 minutes wasn’t a big surprise. But then Ali Krieger, one of the Spirit’s MVPs of the season so far, was going out. The Spirit resumed action with Kika Toulouse and Domenica Hodak replacing the international veterans. Getting on the scoresheet this season was a matter of time for Lori Lindsey, but I’m not sure anyone expected something quite as emphatic. The Spirit outshot the Breakers 5-1 in the second half, with four shots on goal to Boston’s 0. The Spirit had six corner kicks to Boston’s 0. But the Spirit couldn’t really make much of those corner kicks. They’re not the tallest team, though Stephanie Ochs and Tori Huster are viable options. And the ref was letting them play, even when Huster was run over by a few Breakers in the box. 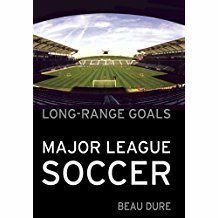 Let me start that again: Boston still made a late surge, with Leroux regretting a miss from close range. When Heather O’Reilly is on the field, the counterattack is always a viable option. Washington had one more good chance, with Caroline Miller making her now-customary sub appearance and late shot on goal to produce the opposing keeper’s best save of the night. One of these days, that shot is going in, and the Spirit will have its first win. But the Spirit players and coaches were in a good mood despite finishing its four-game homestand without a win. They knew they were showing signs of improvement. Ashlyn Harris was in a playful mood postgame, praising the fill-in defenders and getting a good laugh when the Spirit’s backdrop for the postgame interviews fell on Ingrid Wells. And Jorden was a good mood for someone whose midweek back surgery forced him to miss a few practices and will keep him out of this week’s trip to Seattle and Portland. Kris Ward will lead the team to the Northwest. 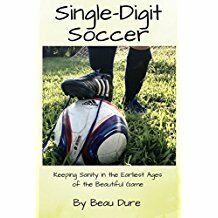 Previous Previous post: Should young players stick with one club?